Forgot your car seat on vacation? Many people take their car seat and strollers on vacation. Did you know car seats and strollers are free to check on the plane? Some people don’t know this but you can bring this stuff to be checked for free on most airlines. However, if you forget your car seat on vacation or a trip, you have options. Many rental car companies offer car seats and booster seats of all shapes and sizes. 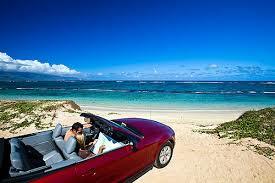 You can rent these car seats usually for an extra fee with your car rental. You may even be able to get them thrown in for free if you negotiate well. When renting a car seat from a rental car company make sure to inspect the car seat before leaving the rental car company. You should look for visible damage, ask if the car seat has been in a car accident, and do a quick recall look up on your phone to make sure the car seat hasn’t been recalled by the manufacturer. Keeping your child safe is your number one priority. If you forget your child’s car seat, never allow them to sit on your lap or hold them while driving. While you think they are safe for normal driving, you will not have a firm grasp on them if you are involved in a car accident. Pay the extra money to rent a car seat for them. Additionally, you should not let your child sit in a car on their own without a car seat or booster seat when they are not ready to be without one. Seat belts were made for full sized adults and not for children. Children are safest when they are in a car seat or booster seat. While you may think the chances of you getting in a car accident are low and you can risk it for a second, don’t. You never know when a car accident will happen and you want to have all safety precautions in place to keep you and your child as safe as possible in case of a car accident. Many car accidents happen in places where people are most comfortable driving and driving on auto pilot. This is because their senses are dulled by being familiar with the area and driving route so they may be careless or less careful when driving. This is why a lot of car accidents happen within one mile of someone’s house. A cab driver or taxi driver may be comfortable driving the route do always bring a car seat eve for tax or cab rides. They usually don’t have a car seat for children. If you have been involved in a car accident and were injured, contact a Seattle personal injury lawyer for a free consultation. Don’t change your child’s car seat around too early. Children are the most vulnerable to injury in a Seattle car accident injury case. In order to protect them, many manufacturers are creating the optimal technology to keep our children safe in a car accident. That is why today’s car seats are made deeper, stronger to hold babies that are bigger than normal babies, and safer. Rear facing car seats are the best for children in head on collisions.This is because of the law of physics and motion where your body will tend to go where the impact comes from. Rear end collisions are not as likely to be as fatal as head on collisions, for this reason, car seats are safest for babies when they are facing backwards. The optimal position to keep children away from harm in a car accident is reversed in a car seat in the middle position. This is because the reverse facing car seat will protect children in case of a front end head on collision. A head on collision with a rear facing car seat will have the car seat actually cradle the body and head of the baby versus the baby’s head, arms, and feet flailing with a forward facing car seat. A 2007 study in the journal Injury Prevention that found that children under age 2 are 75% less likely to die or be severely injured in a crash when in a rear-facing car seat. Riding rear facing is recommended until a child reaches age 2 or the highest weight — typically at least 35 pounds (about 16 kilograms) — or height allowed by the car seat manufacturer. Convertible car seats are good places to start and invest because you can go from rear facing to forward facing when your baby grows out of rear facing car seats. Car seats are expensive but are vital to your child’s safety and well being. Install the car seat in the back seat according to the manufacturer’s instructions, using either the seat belt or Lower Anchors and Tethers for Children (LATCH) system. Use the tether strap — a strap that hooks to the top of the seat and attaches to an anchor in the vehicle — for extra stability. Adjust the harness straps so that they’re at or above your child’s shoulders and fit snugly. If you know of anyone injured in a Seattle car accident, contact a Seattle personal injury lawyer for a free consultation today. Is it safe to buy a used car seat or rent one? You should always buy a new car seat, if possible. It is one of the few things that you should go out and buy new for your baby as it can keep him or her safe in a car accident. However, there are some times where you may want to borrow a car seat from a rental car agency because you are on vacation or you simply cannot afford a brand new car seat. All car seats that have been in a car accident need to be replaced, even if not visually damaged – this is something that you can get compensation for through your own insurance if you have comprehensive coverage or through the person that caused the car accident when negotiating the property damage portion of your car accident injury case. If you are going to borrow or buy a used car seat, you should verify that the car seat has not been in a car accident, is not over 6 years old, has not been recalled by the manufacturer, comes with the original manufacturer number and instructions, and has no visible damage or missing parts. Do not buy a used car seat unless you can verify the age of the seat. Most car seats have a manufacturer’s label on the back or bottom of the car seat that gives the manufacture date or a specific expiration date. Harnessed car seats generally last 6 years from the date of manufacture, unless there is a different expiration date marked on the seat. If you’re not sure about the expiration date, call the manufacturer. The date of manufacture and manufacturer contact information must be on one of the seat labels by law. If the labels are missing from the car seat, it’s best not to use it, as the labels would also give you important model information that would alert you to potential recalls. Check to see that your car seat has not been recalled for some reason. You cannot use a car seat that has been recalled. The National Highway Traffic Safety Administration (NHTSA) have a website that shows all of the recent recalls for car seats. NHTSA and manufacturers encourage replacement of car seats if there was a car accident in moderate to severe car accidents. They used to encourage getting a new car seat in every car accident but they lowered their standards recently because some people were unable to buy a new car seat and newer car seats are much stronger than car seats used to be. • There is no visible damage to the car seat that might have been caused by the crash. • The vehicle was capable of being driven from the crash site. • The car door nearest to the child restraint was undamaged. • No one in the vehicle was injured in the crash. • The air bags did not deploy. However, you probably won’t be able to get all this information from someone that is selling you a used car seat because they may be untruthful or may not have any information about the car accident. It is hard to determine whether a car seat was involved in a serious car accident or not just by looking at it because it may show no visible signs of being damaged. 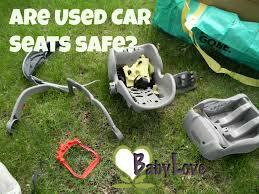 You must also determine whether used car seats still have all of the original parts needed for safety. Some parts can be lost over time. One illustration of this is a harness on a combination seat that is removed when the child outgrows it, and is later replaced without a seemingly small piece that affects the function of the harness in a crash. If you have been injured in a Seattle car accident, you should make sure your car seat is replaced and covered in the car accident by the insurance company. Call a Seattle personal injury lawyer today to make sure you get a new car accident included in your car accident injury case. Where is the optimal place for car seats? In case of a car accident, you want to give your child the best chance of survival and the best chance for not being injured. Car accidents are a part of life it seems these days, especially in Seattle where traffic is congested, people are highly caffeinated, and the roads are slick. 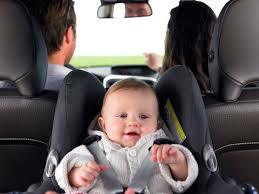 Your baby does not need to be a casualty of a car accident if you take proper precautions. Where is the safest place to put your baby’s car seat to protect them? The safest place for your child’s car seat is the back seat and away from air bags. The reason why car seats are never supposed to be in the front seat and away from air bags is because the air bag could hit the back of a rear-facing car seat, right where your child’s head is, and cause a serious or fatal injury. A child who rides in a forward-facing car seat could also be harmed by an air bag. The best place to install a car seat is the back seat. Additionally, even better is the center seat in the back row. This is because there is less risk of glass being shattered into the baby’s face and eyes in case of a “T-Bone” car accident. There is also less chance that the baby or child’s arms or legs will hit the car door or any other objects in the even of a car accident. The US National Library or Medicine posted a study in 2008 that showed that children sitting in the center seat in their car seat are 43% safer than those that are positioned on one side or the other. Additionally, they posted another study in 2008 that showed that people that are in fatal crashes have a 13% increase in survival if they sit in the center seat versus one of the side seats. A lot of this has to do with cars impacting someone who is seated on the side seats versus the center. The center is relatively protected compared to all other seats from being actually touched by a car, telephone pole, or any other outside force in a car accident. Installing the car seat in the middle of the back seat is very strenuous on some people and some people may not want to have to reach all the way into the center of the car to put their baby. However, a little extra effort can be the difference between making sure your baby is as safe as possible from car accident injuries and not. Additionally, car seats are big and can take up a lot of room in your back seat forcing you and your passengers in the front seat to move their seats up to an unsafe position in smaller cars. If a car seat is situated in the center back seat, you and your passenger can put your seats back so your legs are not cramped. If they are on one of the sides, you may have a cramped passenger. The next safest spot is the passenger side rear seat. This is more due to having to take your child out with cars passing you if you park on a busy street if you had him or her seated behind the driver. Car seats are big and can stick out pretty far. You don’t want to be on the busy street side of your car as long as you have to so you don’t get hit by a car or drop your baby on the street. NEVER put a rearward-facing baby seat in the front if there is an active passenger airbag. It is illegal and dangerous to do so, because if the airbag goes off, it will hit the baby seat and fling it forward with considerable force.Some people are not fortunate to own multiple cars and can’t easily afford to by a new one, whereby their only means of transportation is front row only pickup truck. If it’s necessary for a child to travel in a vehicle such as a pickup truck that has only one row of seats, deactivate the front air bags.